It's one of just six examples ever built. At the upcoming Barrett-Jackson Scottsdale sale in 2018, alongside the first-ever Buick Regal GNX, and a rare 1973 Corvette race car that took just 48 hours to build, another unique muscle car will be crossing the auction block. This is a 1958 model year Corvette, though you may not be able to recognize it at first glance. 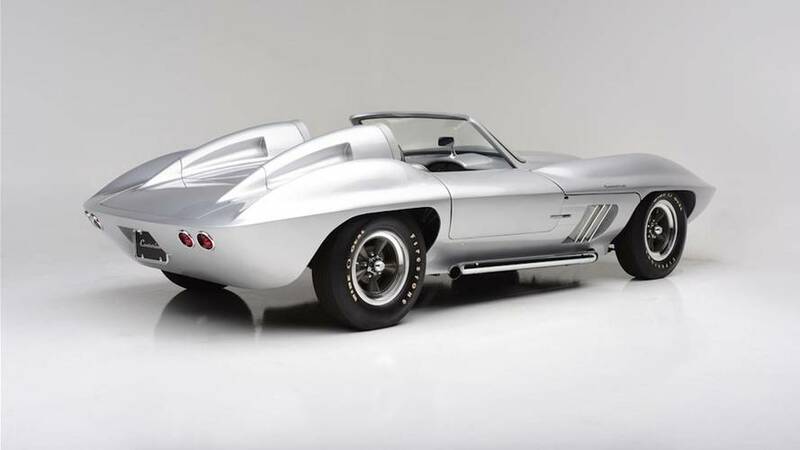 This particular 'Vette, dubbed the Centurion, has been retrofitted to mimic a C2 Corvette Sting Ray race car from top to bottom – and it could be yours if the price is right. 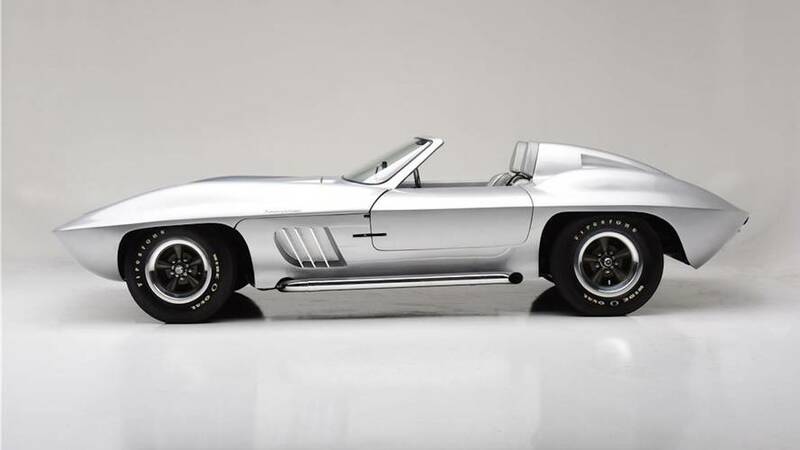 One of just six examples ever built, the 1958 Corvette custom will be offered at no reserve when it goes up for sale in January. It draws inspiration from the 1965 C2 Corvette roadster that was introduced nearly 10 years later, and was built by the shop Fiberfab. Apart from being one of only six examples ever made, it’s the only known example with two headrests, strangely enough. Under the hood is a fuel-injected 283 cubic-inch V8, which comes paired to a four-speed manual gearbox. 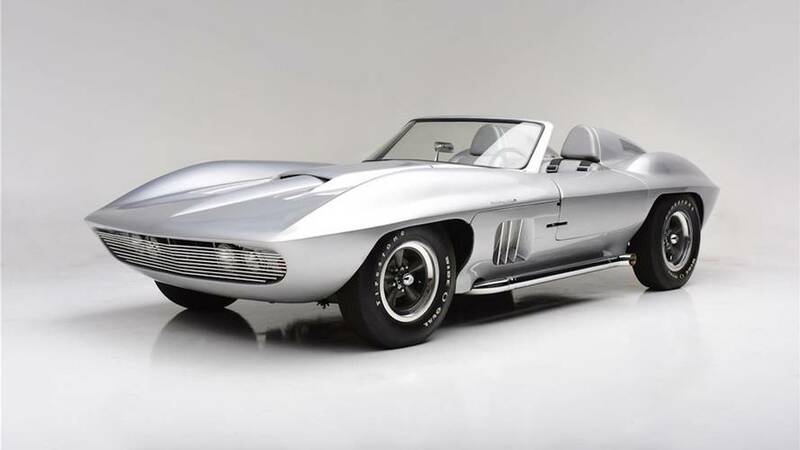 The custom concept has the original body tag and VIN, and is registered with the Corvette Registry, all of which make it eligible for the Monterey Historic Races. The exterior is finished in a stunning silver paint job, and the interior is highlighted by matching seats with black accenting throughout. The auction house doesn’t list a price, but like the 1973 Corvette 48-hour race car before it, it will be offered at no reserve. Considering a well-kept, original 1958 Corvette retails for about $50,000 on today’s market, according to Hagerty, this one should go for well beyond that given its rarity and uniqueness.